When facing a DWI charge in New York State, a New York DWI lawyer can be your advocate in court and explain your rights and expected sentencing. DWI laws will vary from state to state, demonstrating the importance of having a local lawyer do deal with drunk driving problems. A New York DWI lawyer will not always be able to prove your innocence, but can work to reduce penalties associated with your offense. When meeting with a New York DWI lawyer, bring all information that can help or potentially hurt your case, including the ticket, results of breathalyzer tests and your account of the police stop and subsequent actions. It is especially important to note the conduct of the officers during the DWI stop as this could have a bearing on your case. You must not enter a plea before seeking an attorney as a New York DWI lawyer will not be able to affect your sentencing beyond this point. What is the DWI law in New York State? The most recent development to New York State DWI laws is Leandra’s Law, which makes drunk driving with any person less than 15 years of age an automatic felony. This also set the State BAC threshold at .08. Those convicted under Leandra’s Law will face penalties of four years imprisonment and a fine of up to $5,000. All DWI offenses in New York also entail a mandatory ignition interlock device for at least six months. Licenses are typically suspended while the driver is pending prosecution. 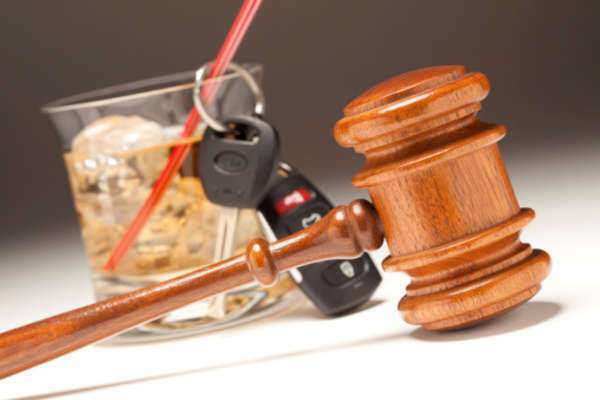 How can a New York DWI lawyer help my case? Even in cases where the driving while under the influence behavior is undisputable, a New York DWI lawyer will be able to work to have the case thrown out due to technicalities, or more likely work to reduce the penalties associated with the case. Some punishments, such as ignition interlocks are mandatory with all convictions and cannot be dismissed from a conviction. Punishments such as fines and imprisonment however, are at the discretion of the court and the New York DWI lawyer will work to have the charges reduced. In the event of a serious violation of DUI laws, a drunk driving lawyer is a necessity to serve as the client’s advocate, working to strike deals and prevent the maximum penalty from being enforced. This may mean the drunken driving lawyer recommending a guilty plea and securing a lesser sentence to attributing the client’s failure on a field sobriety tests to a preexisting health condition, such as a leg injury, which would throw the prosecution’s case into disarray. These are of course, long shot arguments, but an experienced New York DWI lawyer will be able to determine if such an argument can be made. The New York DWI lawyer may not be able to free you from all the penalties involved in your drunken driving case, but the lawyer can work to reduce or defer some of the penalties, such as jail time into alternative punishments, such as probation or alcohol education classes. As is the case with every type of lawyer, be wary of drunk driving lawyers that readily agree with you and make excessive promises that seem too good to be true. In most cases, the best the drunk driving lawyer can do is reducing the nature of the violation to reckless driving and other moving violations that carry a less harsh penalty. Expect the fees for cases such as these to be rather high and front loaded, as not many lawyers will be willing to contest DWI arrests. New York DWI lawyer may charge flat fees, combined with hourly fees for the use of the lawyer’s time and ancillary fees for the use of the lawyer’s staff, such as paralegals. A retainer is the most likely arrangement for this type of case. Retainer is fee that remains in a trust account that the lawyer bills every time he or she performs a service related to your case. A New York DWI lawyer may ask you to set aside a retainer fee. Leftover retainer can be returned to the client, but there is also a chance that the attorney will exhaust the retainer and require the client to refill the account. The retainer does not include court costs, which are also paid by the client. However, these fees, such as the fees for filing the case, are fixed.